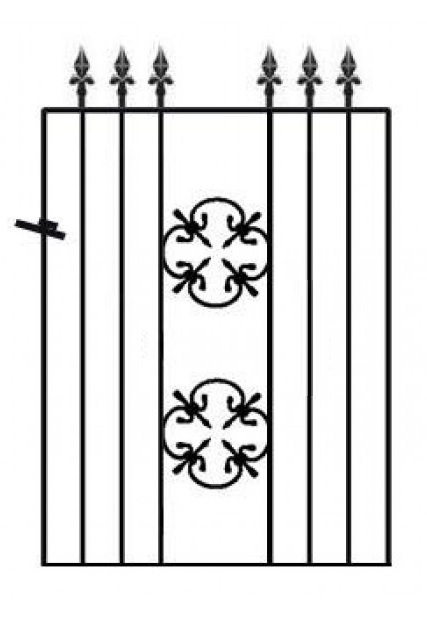 Decorative single metal garden gate. 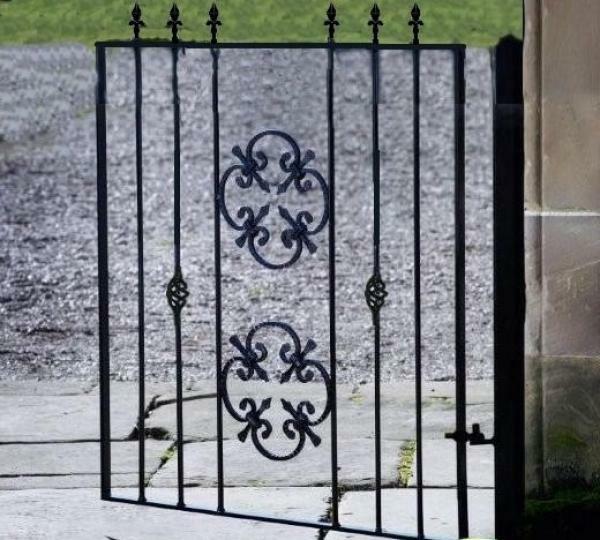 Featuring a number of decorative elements including fleur-de-lys finials, cages in the infill bars and a ornate metal scroll detail to the centre, the cost effective Cromwell 4ft high metal garden gate will provide added privacy and security benefits at a great price. A strong imposing design ensures security levels will be increased. 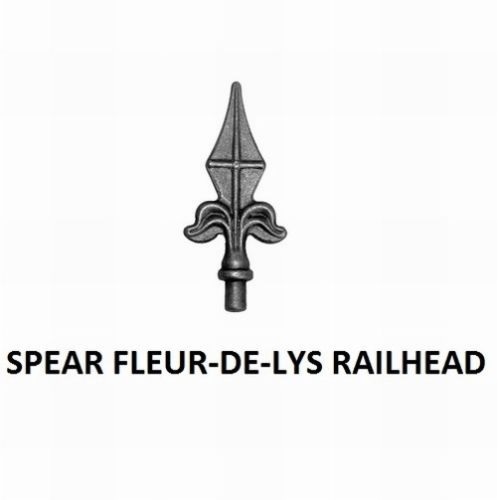 Suitable for a variety of garden styles and front entrances. 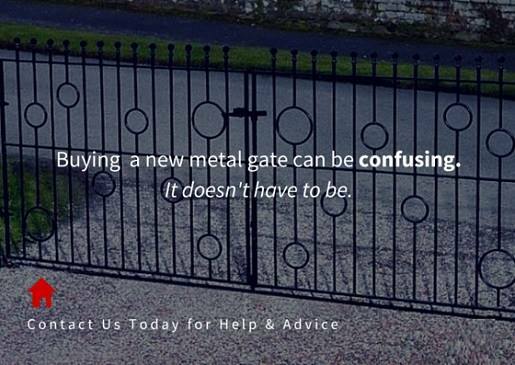 Cromwell gates are manufactured in the UK. Constructed using 20mm x 8mm metal frames, 10mm infill bars and 10mm cage baskets. Supplied with adjustable hinges and universal latch to enable left or right hand hanging. Cromwell metal garden gates are finished with black primer and must be painted before installation. Do you need help and advice? Please contact us by phone or email or take a look at the guide to measuing the opening or FAQ page. 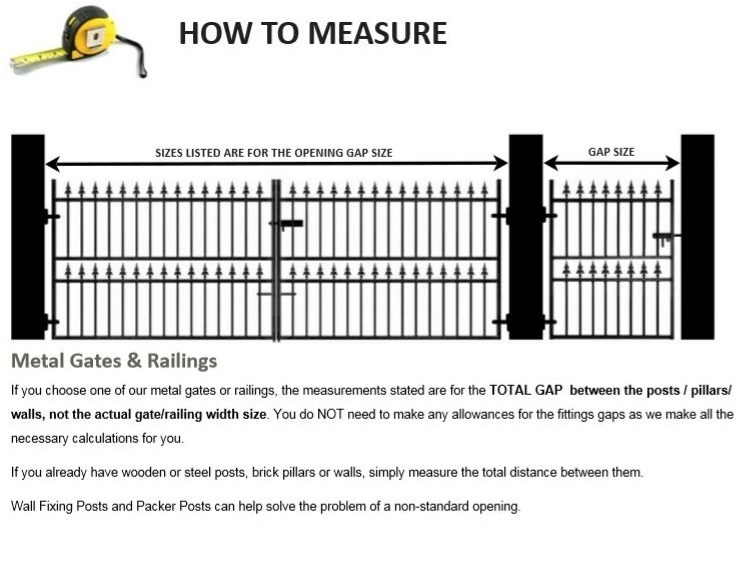 To complement this gate design or to aid with you installation we are able to offer the following additional items. For more information or to get a price for these items please call now on 0844 804 5577 or fill in our online enquiry form.